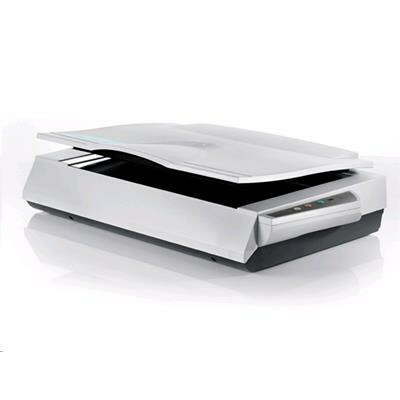 Avision FB6280E A3 book scanner is your best tool to digitize books up to A3 size. With the FB6280E, you can digitize your books instantly and convert it to popular PDF file so you can easily read it in different tools and share it with your friends! 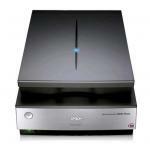 Avision's book edge scanners feature a unique, innovative flatbed platform, with a slanted front edge engineered to accommodate books in a way that prevents the dark, shadowy area near the spine from appearing. Curved text often seen near the center is also eliminated, since this special design allows pages to spread flat on the scanner. Never again would you need to press the book against the scanner, which distorts the scanned image and potentially damages the book. Packed with CCD sensors and a 600 dpi optical resolution, it can produce high quality A3 color scans in 4.5 seconds at 300 dpi! The Avision FB6280E is the ideal choice for business professionals who frequently need to scan large-sized documents. These professionals include mechanical engineers or art designers who need to scan engineering or art drawings. 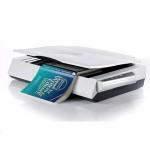 With the innovative and patented front platform, the Avision FB6280E allows you to easily scan books and deliver clear images within 2mm of the book spine. Shadow and text distortion commonly found on books scanned by traditional scanners are no longer existed. 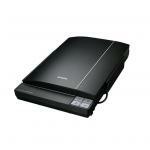 Large scanning area up to A3 size (300 x 432mm, 11.8"x17") ? 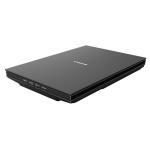 The FB6280E supports documents up to A3 sizes. Its core image processing components are CCD based with a 600 dpi optical resolution, enabling it to output picture perfect quality while meeting the most stringent demands of business professionals anywhere. With the bundled software "Button Manager", you can create searchable pdf file directly after pressing the button on the scanner. Pages are automatically cropped and rotated to the correct orientation and then saved to your choice of file formats including PDF, TIFF, JPEG, GIF, BMP, or searchable PDF. The program also lets you pre-set nine customized functions or destination application such as e-mail, printer, or other photo editing software application for a variety of scanning tasks. Auto crop, deskew and thresholding image-enhancing features ? FB6280E incorporates the latest TWAIN driver with new features and enhancement such as the ability to adjust sensitivity of dynamic threshold, document/photo color matching, custom color dropout, automatic multiple cropping, and reduce despeckle. We are committed to improving the TWAIN driver continuously to enrich your scanning experience as never before. PB Tech price: PB Tech price: $1,482.53 ex. $1,704.91 inc.